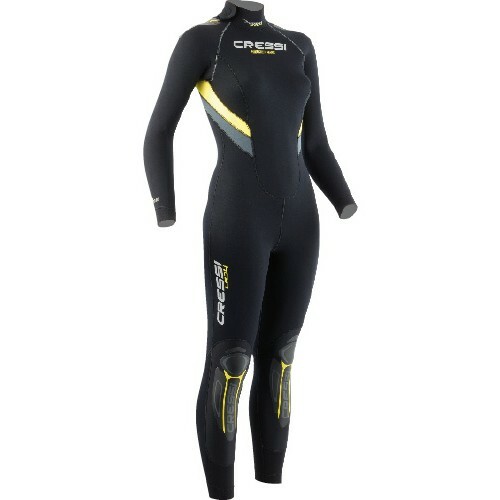 This traditional modular wetsuit in double-lined neoprene is available in men and women’s versions and is made up of a one-piece, a jacket and a hood which can all be purchased separately. The long sleeved one-piece is made from 5 mm double-lined neoprene and has a strong YKK back zip with Aquastop under zip lining to minimize water infiltrations. The seals at the wrists and ankles are made with the Aquastop system which uses seals in smooth 2 mm neoprene, covered in Metallite. The legs are pre-shaped to guarantee an extremely easy kick. There are anti-wear inserts on the knee and shin area. The short-sleeved jacket, in 3.5 mm neoprene, has a zip fastener up to the face and an incorporated hood. The separate hood, which can be used with the one-piece, also has a smooth neoprene seal along the outline of the face and on the chin and mouth area. 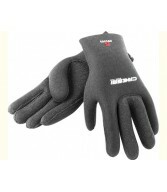 The one-piece is ideal for waters at an average temperature. The Metallite seals and the ample back opening that is offered by the vertical zip allow the suit to be put on and taken off quickly and easily. When worn with the jacket you have a wetsuit that is also suitable for colder waters but which always guarantees freedom of movement as it is not excessively thick (8.5-9 mm). 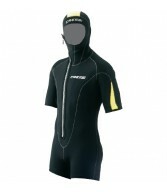 Modular wetsuit made up of a one-piece, jacket and hood, which can all be purchased separately. One-piece suit in 5 mm double lined neoprene.